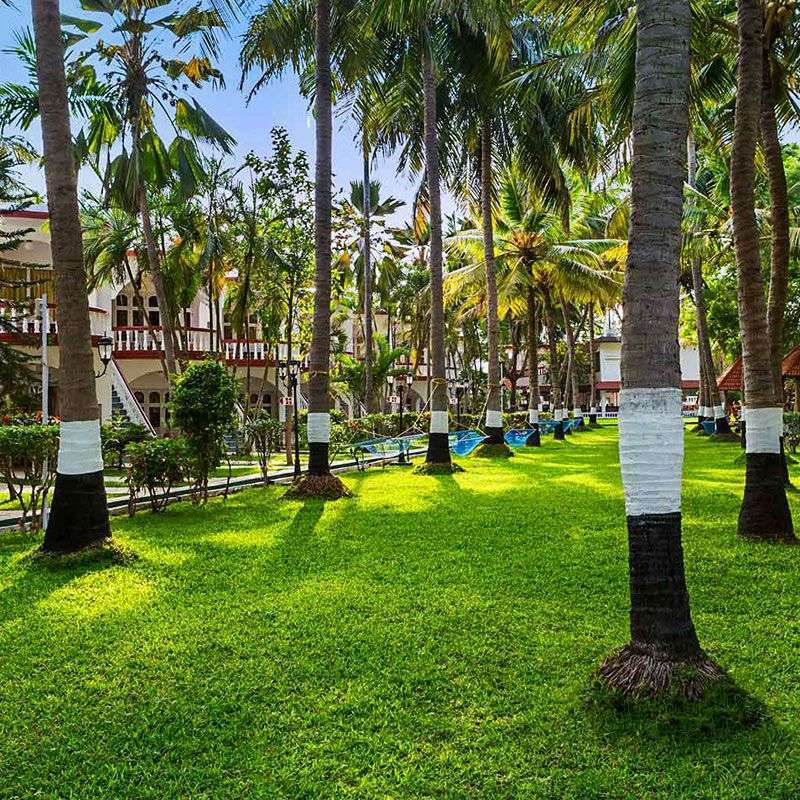 Indulge in the essence of natural hospitality extended by the Malabar Coast. The South of Malabar Coast tour package is of 16 Nights and 17 Days, which makes you travel to the exotic locations of Chennai, Covelong, Pondicherry, Tanjore, Madurai, Kodaikanal, Munnar, Cochin, and Mararikulam. 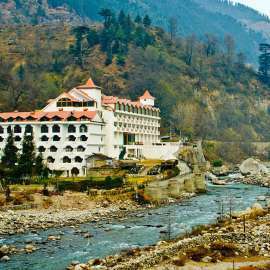 This single tour package is skillfully designed to meet various tourism themes like beach, nature trail, religious, adventure, etc. With this package you also get a chance to explore the architectural heritage housed in the southern regions of Malabar Coast. 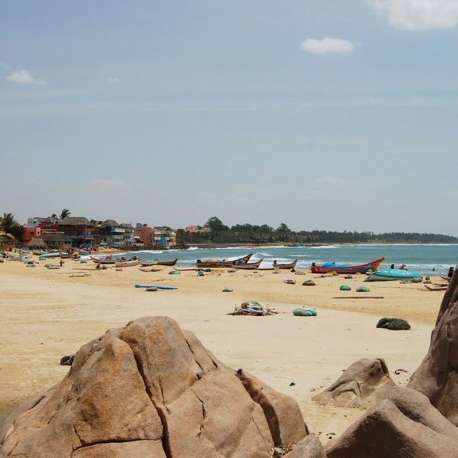 On your arrival at the Chennai Airport/Railway Station, get welcomed and transferred to your hotel in Covelong (Kovalam). On the way to your hotel, halt at Dakshin Chitra cultural center to get a sneak peek of rich art, architecture and culture of the southern states of India. Reach your hotel, check in, freshen up and take a little rest. In the remaining hours, you may take gradual walks down the streets and communicate with the locals. Halt at your hotel for an overnight stay. This day is fully dedicated to be spent at leisure. 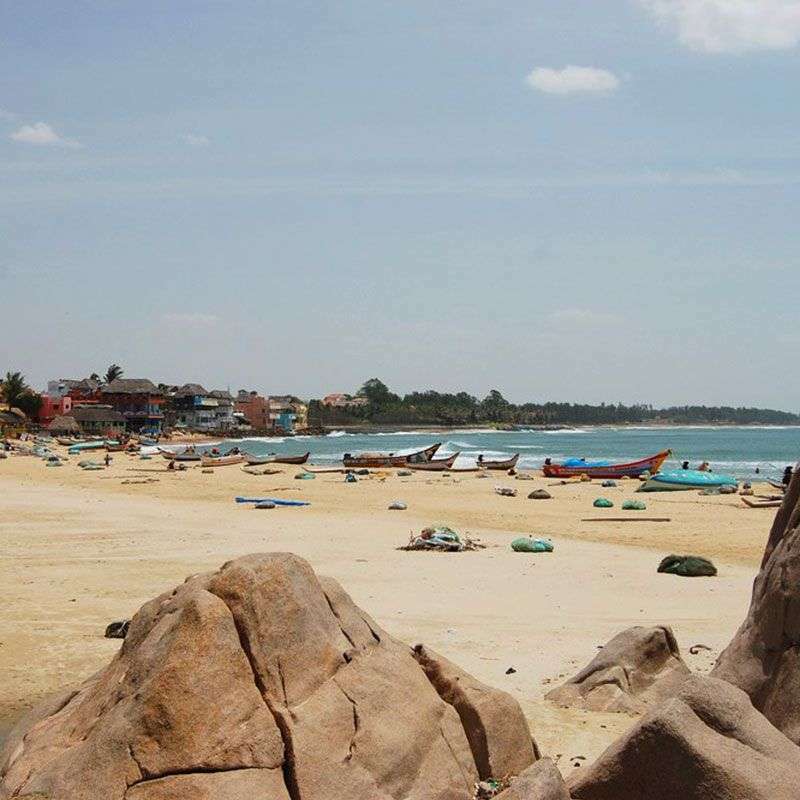 Early morning, post breakfast, get ready to explore the Covelong (Kovalam) beach and the nearby attractions. Here, you may take pleasure in wind surfing. Later, you may proceed to Dutch fort and the Catholic Church. You may also enjoy water sports at the beach and enjoy scrumptious street food. Also explore the colorful local markets. Later in the evening, you may also take pleasure in witnessing the magnificent sight of dusk at the beach. Return to your hotel for dinner and an overnight stay. In the morning, post breakfast, drive to Pondicherry. En route, halt at Mahabalipuram for excursion of the seven monolithic temples. Each temple is carved from a single granite boulder standing on the shoreline. These temples were constructed during the 6th - 8th centuries. Later, continue your drive to Pondicherry. The architecture and planning of the town still exhibits the glimpses of French impression. Reach your hotel in Pondicherry, check in, freshen up and take a little rest. If time permits, you may also explore the nearby attractions. Halt at your hotel for dinner and an overnight stay. 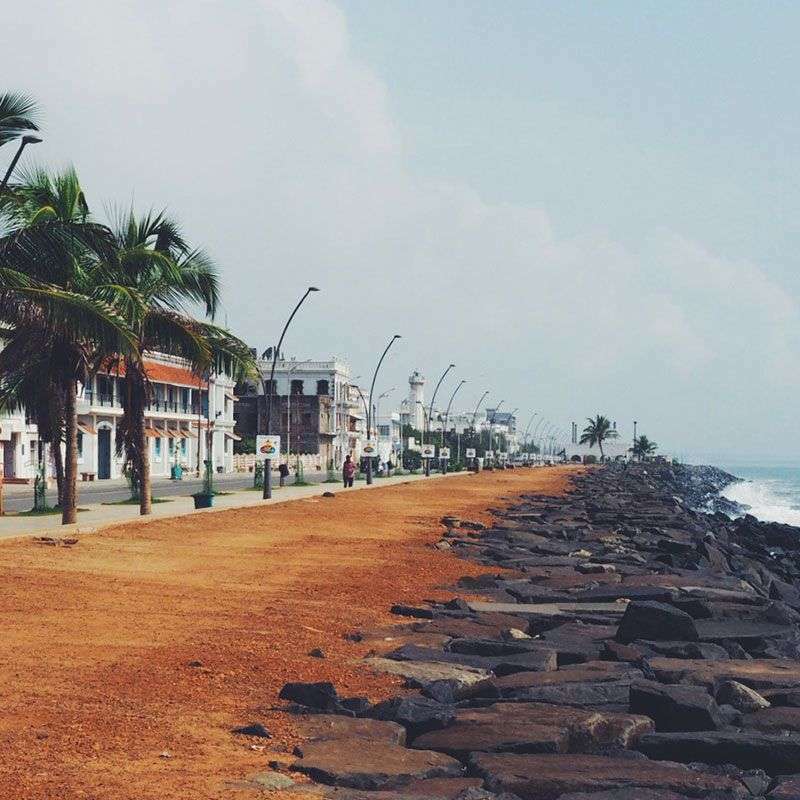 On this day, you explore the attractions of Pondicherry. Drive to Gingee to witness the magnificent Vijayanagar fort, built during 15th century. Later, drive back to Pondicherry and in the afternoon, pay a visit to the Aurobindo Ashram, founded by Sri Aurobindo, a Bengali philosopher. 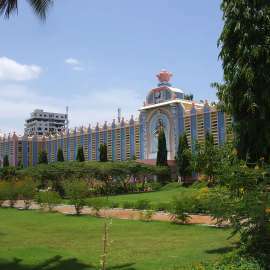 The establishment of this ashram dates back to the early 20th century. Thereafter, reach your hotel. You may take rest or if time permits, you may take gradual walks down the streets. An overnight stay and dinner at your hotel. Post breakfast, in the morning, drive to Tanjore. En route, visit the temple towns of Chidambaram and Kumbakonam. On reaching your hotel, check in, take a little rest and freshen up. Thereafter, utilize the remaining hours of the day in exploring the nearby attractions, communicating with the locals, enjoying scrumptious street food, leisure walks down the streets, etc. Return to your hotel for dinner and an overnight stay. Get ready for a full day excursion to Tanjore. As the place is abundant with South Indian temple architecture, get ready to visit the great Brihadiswara Temple - one of the most stupendous Chola temples in India. Later, drive to Rock Fort Temple of Trichy. Also explore the magnificent temple complex spread over an island in the Cauvery River. 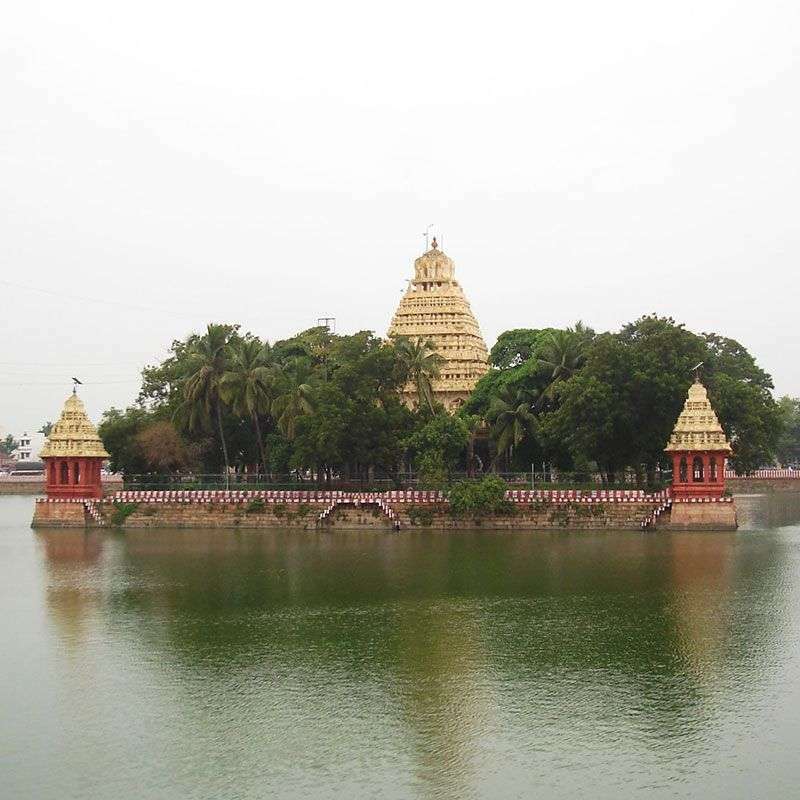 The Sri Ranganathaswami Temple, dedicated to Lord Vishnu, is also worth visiting. This temple is one of the biggest temples in India. Return to your hotel for dinner and an overnight stay. In the morning, post breakfast, drive to Madurai. Madurai has been considered as the land of learning and pilgrimage for many centuries. Here, you may visit the great Meenakshi temple. This temple has pyramidal gateway towers (Gopurams). These Gopurams are covered with numerous multi-colored pictures of mystical figures, gods, and animals. Thereafter, reach your hotel in Madurai, check in, freshen up and take a little rest. If time permits, also explore the nearby attractions. Halt at your hotel for an overnight stay. 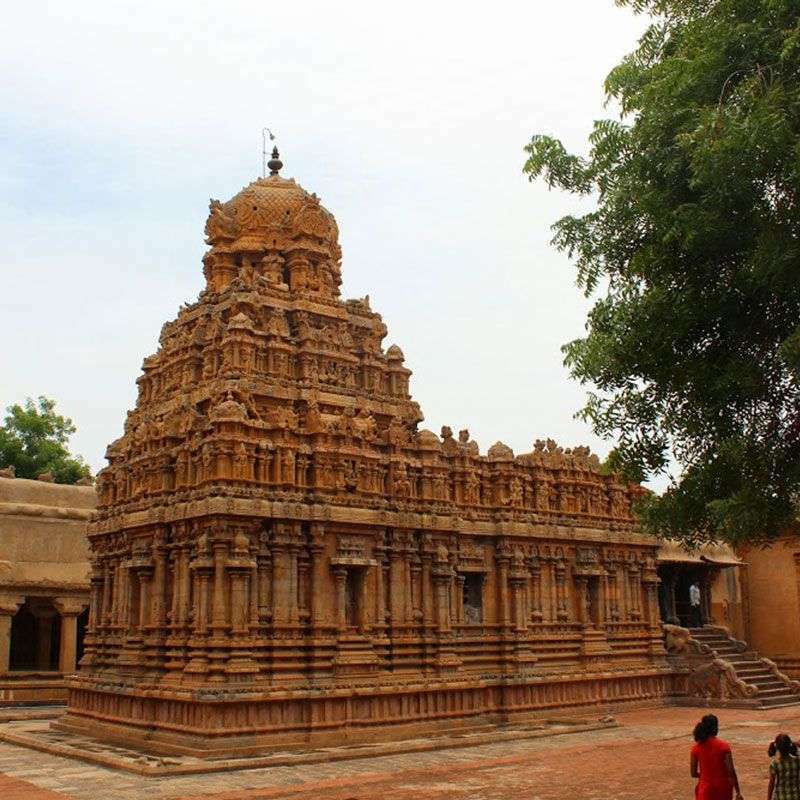 Alternatively, you may drive 90 km east of Madurai to visit the region of Chettinad. This is the land of prosperous banking community, Nattukottai Chettiars, who amassed great fortunes with overseas ventures to Ceylon, Burma and Indo-China during 19th and 20th centuries. Later, reach to your guesthouse, check in, freshen up and take a little rest. 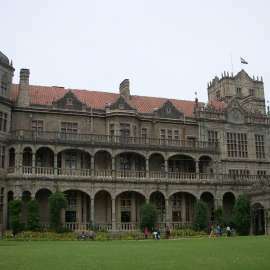 If time permits, also explore the nearby attractions. Halt at your guesthouse for an overnight stay. Early in the morning, after breakfast, get ready for a scenic drive upto Kodaikanal. Kodaikanal is one of the fascinating hill stations in South India. This place lies on the southern crest of the Palani Hills (altitude of 2100 m above sea level). Reach your hotel, check in and take a little rest. In the remaining hours of the day, you may take leisure walks down the streets, enjoy scrumptious food, communicate with the locals, etc. Thereafter, return to your hotel for dinner and an overnight stay. This day is to be spent at leisure at Kodaikanal. Here, you may spend the day enjoying scenic landscaped lakes. You may also take pleasure in viewing the spectacular sights from Coaker's Walk and Pillar Rocks. But, the views can be restricted by the weather at certain times of the year. Return to your hotel for dinner and an overnight stay. Post breakfast, in the morning, drive through the hills to Munnar (1520 m above sea level). Munnar is a true hill station and center of the Kerala tea industry. This hill station has proximity to the highest peak in South India, Anaimudi. The Christ Church, in the town, is also worth visiting. Thereafter, return to your hotel for dinner and overnight stay. Today, enjoy full day excursion to the popular attractions of Munnar. At surrealistically beautiful Munnar, you may visit the lush green tea estates, waterfalls, mountain mist, and exotic wildlife sanctuaries. You may also take pleasure in exploring the areas of Eravikulam National Park. Return to your hotel for dinner and halt for an overnight stay. In the morning, post breakfast; drive to the Malabar Coast and to Cochin. En route, take pleasure viewing the sea in Fort Cochin. Reach your hotel, check in and take a little rest. Later you may enjoy the remaining day in exploring the nearby attractions. You may take gradual walks down the streets, taste scrumptious street food, communicate with the locals and enjoy the warmth of hospitality extended by the locals. Thereafter, return to your hotel for an overnight stay. This day is dedicated to be spent at leisure. In the morning, post breakfast visit the synagogue. Later, visit the Dutch Palace, St. Francis' Church and the spice market. In the afternoon, take a harbor cruise to sight magnificent views of some of the nearby islands and the legendary Chinese fishing nets. Thereafter, return to your hotel. Spend the remaining hours in exploring the nearby attractions. Halt at your hotel for dinner and an overnight stay. Early in the morning, post breakfast, drive to Mararikulam. Reach your hotel, check in, freshen up and take a little rest. Thereafter, you may spent the entire day visiting the nearby attractions, exploring the colorful markets, taking gradual walks down the streets, communicating with the locals, enjoying scrumptious street food, etc. Return to your hotel for an overnight stay. You have two days to be spent at leisure and explore the vicinity of Mararikulam. You may enjoy a full day excursion to the beaches namely Alappuzha Beach and Marari Beach. Here, enjoy water sports, explore small colorful markets near the beaches and take pleasure in sighting the magnificent views at the beaches. Also taste the local food being provided at various food joints at the beaches. The other day you may enjoy visiting the popular religious attractions of this beach village. Visit Cherthala, Mararikulam Shiva Temple, St. Andrews Church, and Velorvattom Mahadeva Temple. Later in the evening, you may enjoy shopping at the local markets and buy crafts made of thermocole. In the morning, post breakfast, get on-time assistance and transferred to Cochin Airport to board the flight for the onward journey. Return home with wonderful memories.